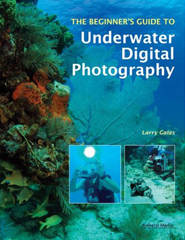 Key Largo Scuba Instructor and Underwater Photographer Larry Gates. The Beginners Guide to Underwater Digital Photography is my first book about UW photography. Mouse-clicking on the book cover image will take you to Amazon where you can read more about it and order a copy. 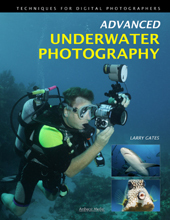 Advanced Underwater Photography is my second book on how to do underwater photography. This work begins where my first book ended. 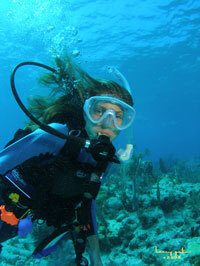 It is analogous to a SCUBA diver completing their Open Water Diver course and taking their Advanced Diver course. Mouse-clicking on the image of the book cover will link you to Amazon. 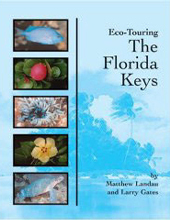 The book "Eco Touring the Florida Keys" is an informative resource about the Florida Keys ecology both above and below the water. 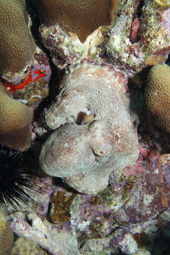 Dr.Matthew Landau, professor of marine sciences, authored the book with my very humble assistance. Our share of its proceeds are donated to REEF. We hope this book is of value to you in your library, on your coffee table or as a gift. A great book helping a good cause! TEE-SHIRTS! Made with my logo. Mouse-clicking on the image of the shirt will link you to where you can view and order one and have it sent directly to you! They are available in several colors, sizes and designs (us divers are nothing without our favorite diving tee-shirts!!). I think this one will become one of your favorites. It is a 'way kewel' tee-shirt to wear on your scuba diving days and take along on your dive trips! It would also make a nice gift for that special diver in your life!! 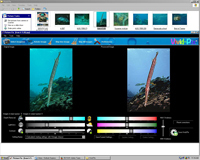 VIVID-PIX: is an easy to use, effective and affordible photo editing program. I use Lightroom and Elements but use Vivid-Pix for my quick-fixes. Vivid-Pix is designed for amatuer UW photographers and you need not be a 'photoshop guru' to use it. Vivid-Pix is fun to use. 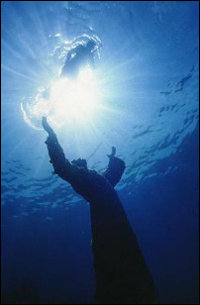 It is especially helpful to those not using or owning a strobe. It has saved images of mine when my strobe did not fire or its batteries were exhausted. Using this link Link to Vivid-Pix will get you a free 30 day trial of Vivid-Pix. I am a Vivid-Pix owner and it has rescued more than one image that I was losing a wrestling match with in Elements and Lightroom. Try it! 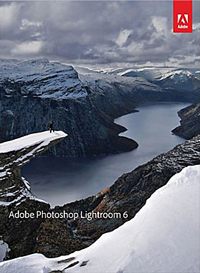 Adobe Lightroom: is my primary photo editing tool This link will take you to Amazon where you can buy the disc version of LR 6 the last version available on disc.